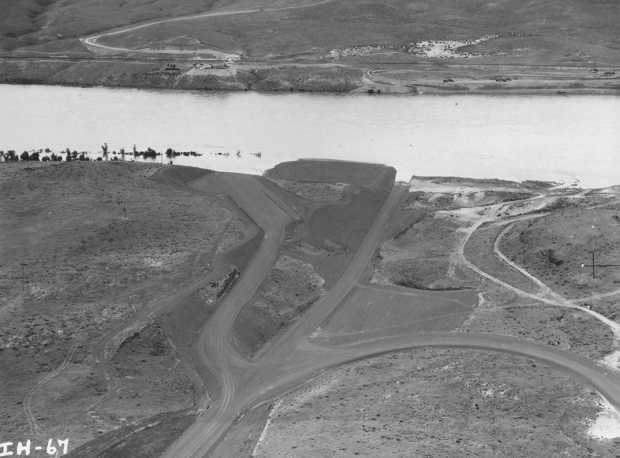 The U.S. Army Corps of Engineers seeks bids to install new-design turbine runners and rewind generators at the 603-MW Ice Harbor Dam hydroelectric project on the Snake River in Washington. Bids are due Oct. 27. The Corps' Walla Walla District previously scheduled a site visit Sept. 16-17 for the solicitation. It took information Aug. 17 on firms able to characterize fish passage environment and to perform acoustic telemetry evaluation of juvenile salmon survival through the new-design units at Ice Harbor. Voith Hydro Inc. has completed design and model testing with the Corps' Hydroelectric Design Center and the Walla Walla District for Kaplan runners at Ice Harbor. The three entities collaborated to develop the designs of a new fixed-blade propeller and a new adjustable-blade turbine runner designed with biological criteria to be safer for fish passage. The Corps seeks bids to install a fixed-blade Kaplan runner in Unit 2 and adjustable Kaplan runners in Units 1 and 3. Work also is to include replacing other major steel components, rewinding generators, and supplying one stator core and three stator windings. The work is valued at $25 million to $100 million. A solicitation notice may be obtained from the Federal Business Opportunities Internet site, www.fbo.gov, by entering solicitation No. W912EF15R0044 in the "Keyword/Solicitation #" box. The site visit is scheduled Sept. 16 with possible continuation on Sept. 17.